Cambridge University Press, 9780521663106, 516pp. This social history of mathematics and physics tells the story of Cambridge University's mathematical physicists. The University's Lucasian Professorship of Mathematics is one of the world's most celebrated academic positions. Since its foundation in 1663, the chair has been held by seventeen men who represent some of the most influential minds in science and technology. 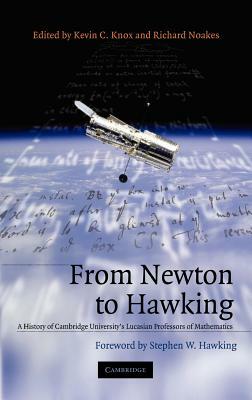 This informative work offers new perspectives on such world-famous scientists as Isaac Newton, Charles Babbage, Paul Dirac, and Stephen Hawking.